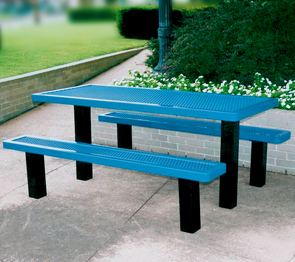 An all time favorite made stronger with heavy-duty square legs and un-attached seat benches. Universal access ADA picnic tables are modified with an overhang that allows for comfortable wheelchair access and complete clearance to the table top from one side. Models are available in several lengths to fit nearly any space. 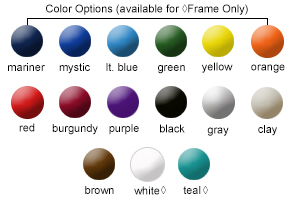 Tops and seats are thermoplastic coated with a lightly textured Polyethylene finish. Expanded Metal Top and Seats. All wheelchair access rectangular picnic tables, conform to latest ADA specifications.